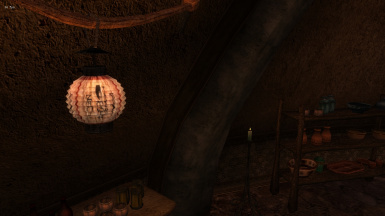 This mod replaces all of the Dunmer lanterns (including the paper lanterns and streetlight) from the original game with smoother, more detailed versions (yet not with a ridiculous amount of new polies: they're optimized). 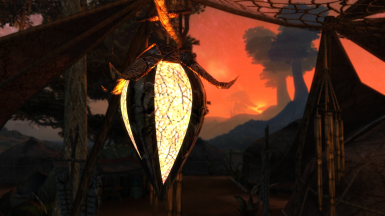 But feel free to expand this mod or use it in your own mod. 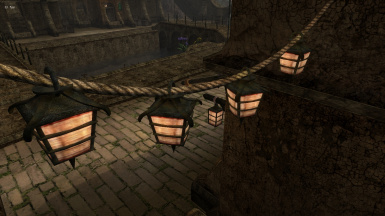 Just please give me credit where credit is due. 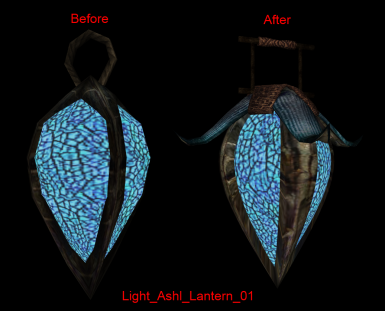 Added Pherim's Ashlander Lanterns Retexture as an optional download! 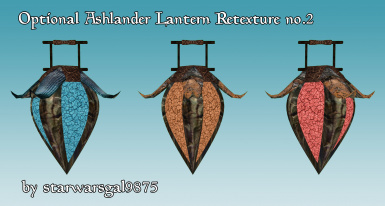 Added starwarsgal9875's Ashlander Lanterns Retexture as an optional download! 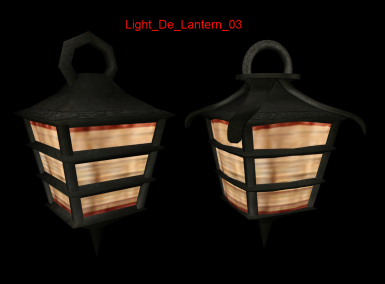 To install, simply copy the meshes folder into your data files and overwrite any existing meshes. 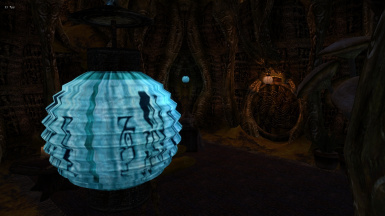 Please ask before incorporating this into any mod or before redistributing this on a different hosting site. I'll most likely be fine with it, but I'd like to be asked on this one. 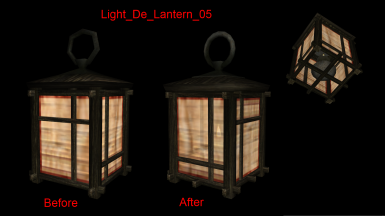 VERSION 10.0: Optimization patch for all models to improve performance, with no loss in quality. 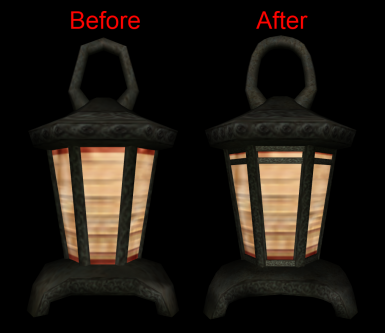 Also fixed light source position, shadowbox, and bone offset (for held position) on some lanterns. 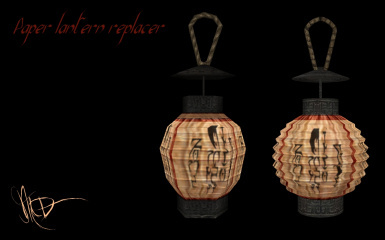 Note: the alternate versions are no longer supported since I have not kept them up to date with the collision, bounding box, flame visibility fixes.